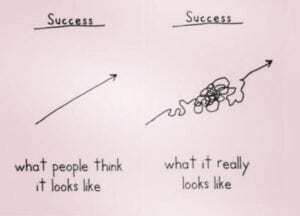 Progress isn’t linear. As Brene Brown pointed out, it’s messy in the middle. When we reframe how we see success, it helps calm our anxious minds. When we expect overnight success, we open ourselves up for disappointment and stress. How can you learn and be open to growing in the middle of the mess?